Chinese survey ships have been entering waters recognised by the United Nations as Philippine territory, Manila's defence secretary said Thursday, in a move he described as "very concerning". 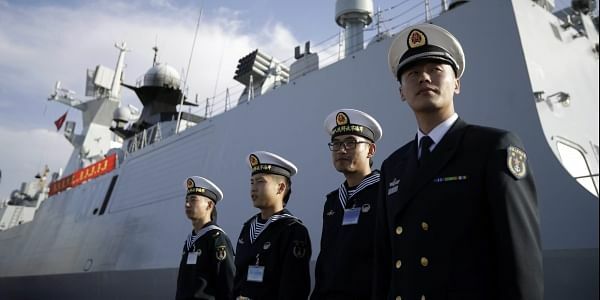 MANILA: Chinese survey ships have been entering waters recognised by the United Nations as Philippine territory, Manila's defence secretary said Thursday, in a move he described as "very concerning". Delfin Lorenzana said the ships were seen last year near Benham Rise -- a Philippine territory 250 kilometres (155 miles) off the east coast of the main island of Luzon -- as well as Reed Bank in the South China Sea, which is claimed by both Manila and Beijing. "I have ordered the navy that if they see this service ship this year, to start to accost them and drive them away" from Benham Rise, Lorenzana said. "The very concerning thing is they have several service ships plying this area, staying in one area sometimes for a month as if doing nothing. But we believe they are actually surveying the seabed," he told journalists. Lorenzana's statement comes as President Rodrigo Duterte seeks warmer relations with Beijing, after ties soured under the previous administration because of conflicting claims in the South China Sea. Asked why the ships might be surveying in Benham Rise, Lorenzana said he received information the vessels were "looking for a place to put submarines". Benham Rise is an underwater landmass believed to be potentially rich in mineral and natural gas deposits. In 2012, the United Nations Commission on the Limits of the Continental Shelf approved the Philippines' undisputed territorial claim to Benham Rise. The Philippines and China, along with Brunei, Malaysia, Taiwan and Vietnam, have conflicting claims to the South China Sea. China claims almost all of the vital sealane, including the Reed Bank, which is about 148 kilometres (92 miles) off the Philippine island of Palawan and which Manila considers as its territory. Duterte's predecessor, Benigno Aquino, had pressed the Philippines' claims leading to tensions with China. But Duterte, who took office last year, has focused on boosting relations with Beijing, downplaying the territorial conflict while seeking financial and military aid.